The Blackfire Card Crate with new design and improved features. This is the perfect storage solution for all card games. Our Card Crate can safely store up to 1200 sleeved or unsleeved cards (standard and small Size) and protects them from dust, damage or loss. The box itself measures 30x30 cms and, as this is the usual board game box size, fits perfect into your gamer shelf. 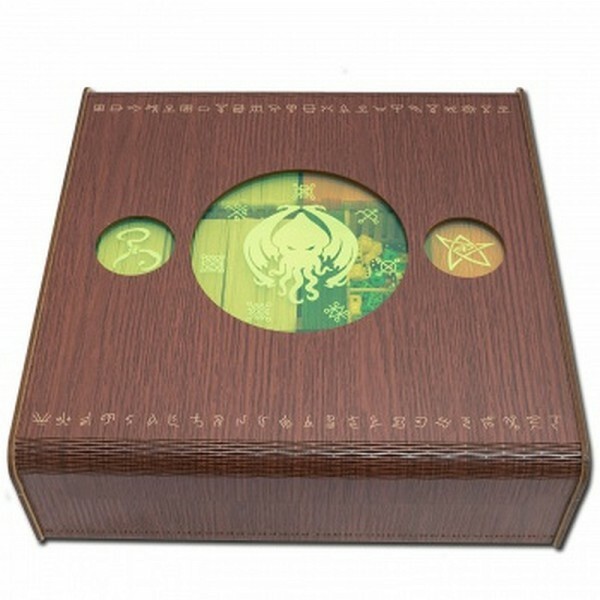 An improvement of the Cthulhu Card Crate is the fact that it is stackable. 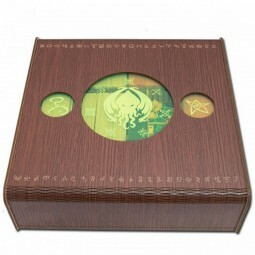 It contains 6 card compartments and two smaller dice or token areas. There are 12 acrylic dividers included to provide a maximum of individual configuration. These dividers allow additional, smaller compartments for individual organizing. The Card Crate is made of high density fiberboard (HDF) in a wooden look. Please note that the item is sold unassembled. This product includes a detailed manual. PVA glue is needed for assembling. Weiterführende Links zu "Card Crate Cthulhu"
Kundenbewertungen für "Card Crate Cthulhu"